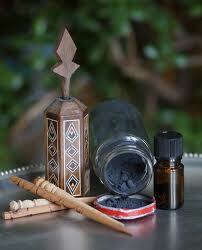 1- Kohl is a black powder used as an eye cosmetic and a natural remedy. It strengthens the eyesight and removes harmful substances. The Prophet sallallahu ‘alaihi wasallam recommended to apply it an odd number of times before sleeping as it is most effective when the eyes are stationary. 2- Ithmid (Antimony) is the black Kohl stone. It is the best type of Kohl for the eye and also has many other uses such as relieving headaches and bandaging ulcers. It is cold, dry, fragmentizes quickly, and has shiny morsels. 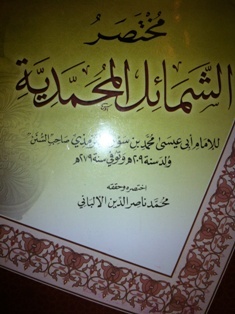 3- The Prophetic Medicine is divine knowledge from Allah ‘azza wajal. Scientific knowledge and medicine can never compare to the simple remedies that were prescribed 1400 years ago. We should take pride in following the Prophet’s medical advice before resorting to chemically-packed substances which kill the immune system and contain several side effects. 4- Among the ways to show gratefulness for Allah’s blessings is by preserving them. Our eyesight and good health are tremendous blessings that can only be fully appreciated when lost. Care for them and nourish them naturally and thank Allah ‘azza wajal for being blessed. beautiful, informative, and a sunnah required to be revived!